Tribhuvan University, Faculty of Management has published the entrance exam results of Master of Business Studies (MBS) and Masters of Public Administration (MPA) (AT)-2019. The entrance examination was held on Magh 19, 2075. 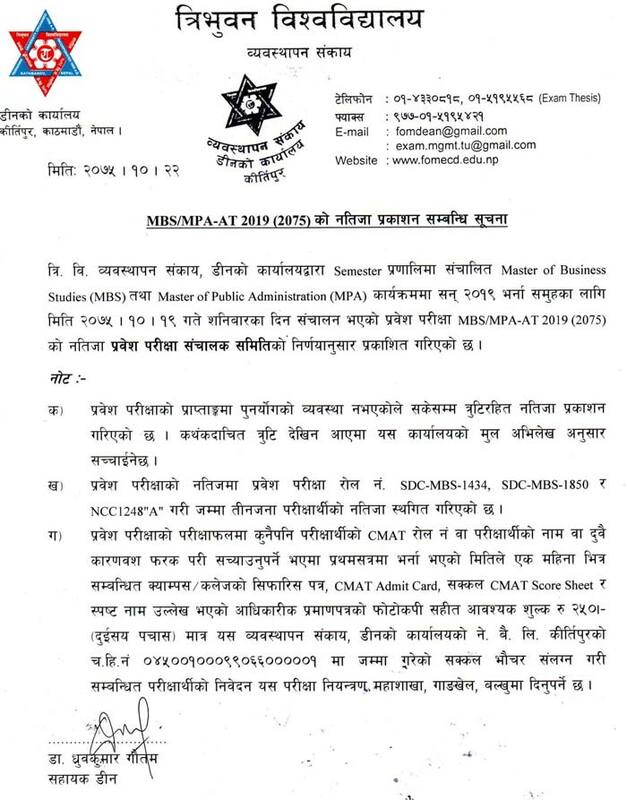 Students who have passed Bachelor level or equivalent and have got at least 40 marks in the exam are eligible for the enrollment in MBS/MPA program according to Tribhuvan University (TU) semester system operational guidelines 2070. HOW TO CHECK CMAT SCORE ?